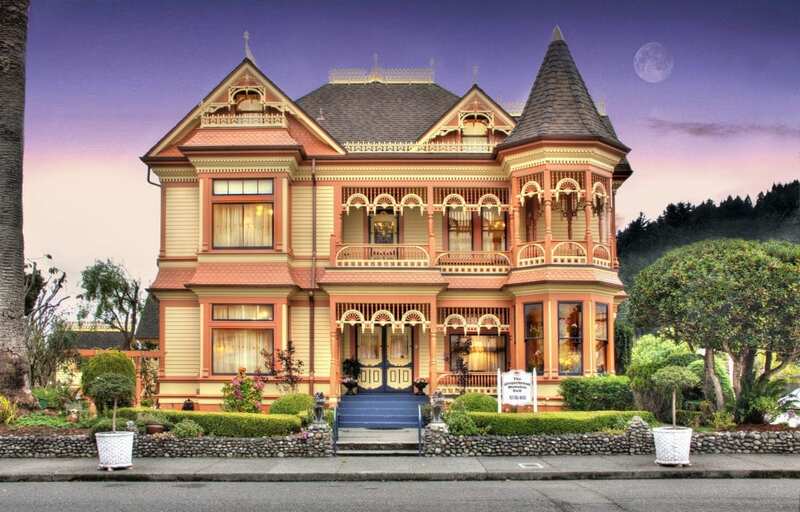 Well known as one of Northern California’s most photographed inns, the Gingerbread Mansion is the pinnacle of 19th century elegance and now a AAA Four Diamond rated and TripAdvisor Certificate of Excellence winner! 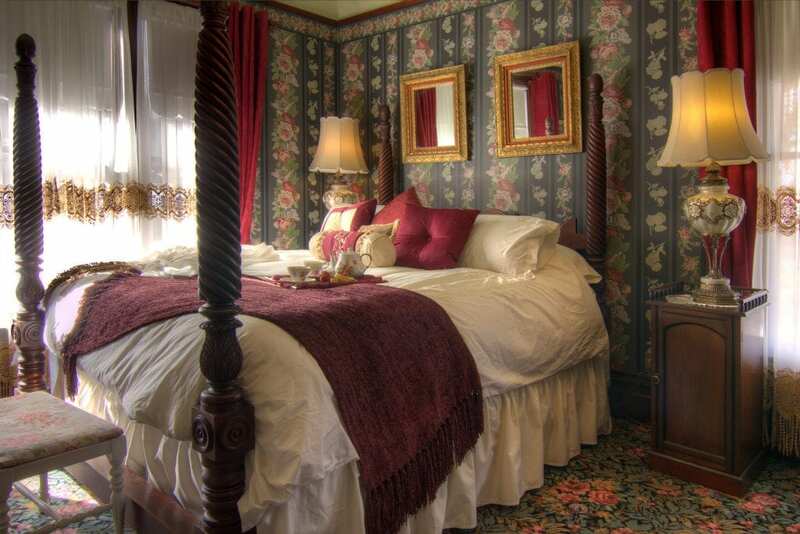 Furnished with antiques, our eleven guestrooms are unique in decor and size. Included in our rates are afternoon tea and wine served with pastries and hors d’oeuvres, full breakfast of homemade delights and many “little extras” to make your stay ever so memorable. 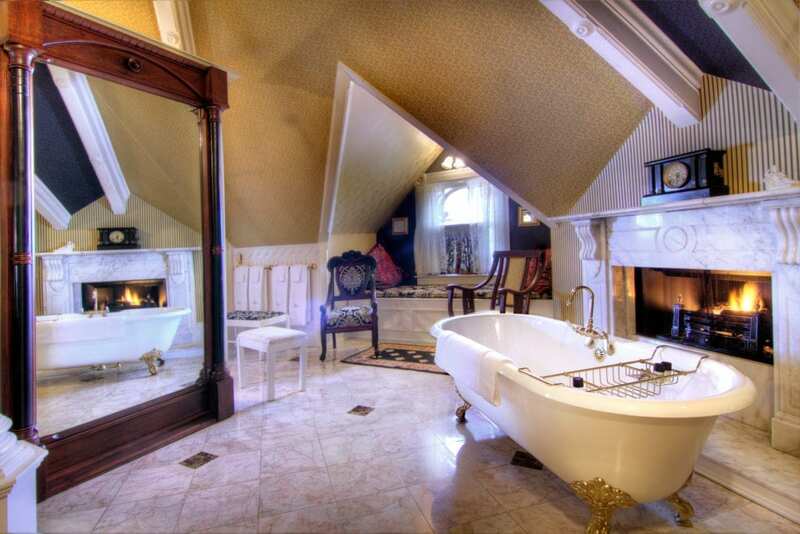 This California inn is the perfect destination for romantic getaways, weddings and honeymoons, family reunions, business meetings, California Coastal vacations to the grand Redwood National Parks. 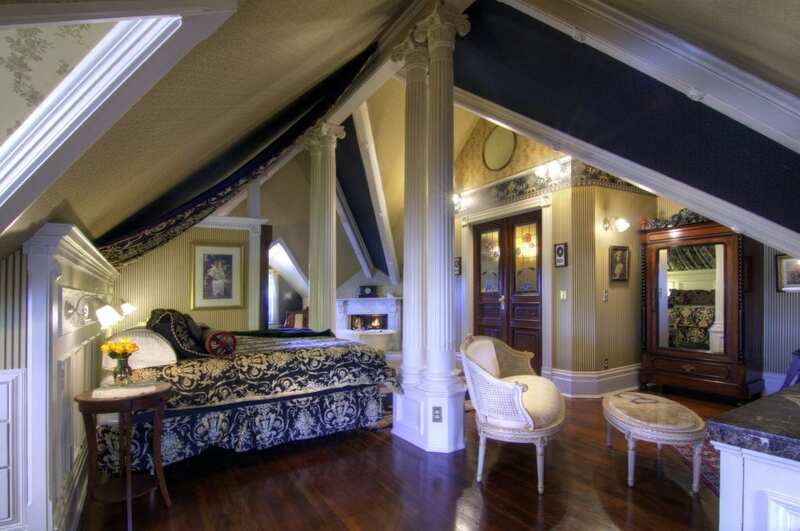 The Gingerbread Mansion B&B Inn is strategically located in the heart of the Redwood Coast. Minutes from majestic state parks with magnificent groves of giant redwoods, breathtaking ocean views, secluded beaches, and endless hiking and walking tours. The Victorian Village of Ferndale is located in Humboldt County; 15 miles south of Eureka, 5 miles west of Hwy 101; 5 miles from the beach, nestled up against the hills in the Eel River Valley.